Staffed with highly trained surgeons, physician assistants, nurse practitioners and numerous support personnel, Pikeville Medical Center (PMC) continues to provide its patients with the latest advancements in orthopedics. 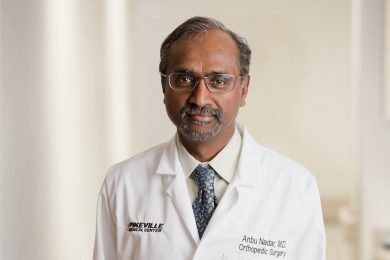 The Orthopedic Center utilizes cutting-edge technology, including ultrasound-guided injections and digital x-rays, and offers the latest advancements in procedures, such as direct anterior hip replacements, partial knee replacements, shoulder replacements, anatomic ACL surgery, fracture care and arthroscopic rotator cuff repair. Total hip and knee replacements and revision hip and knee replacements are also offered. Additional orthopedic services available at PMC include hand surgery, orthopedic trauma, sports medicine and podiatry. PMC has been voted one of the Best Hospitals for Patient Experience in Orthopedics by WomenCertified numerous times. Board Certified by the American Board of Orthopedic Surgery in Orthopedic Surgery – Dr. Riehl attended California Lutheran University where he majored in biochemistry and molecular biology and graduated with honors. 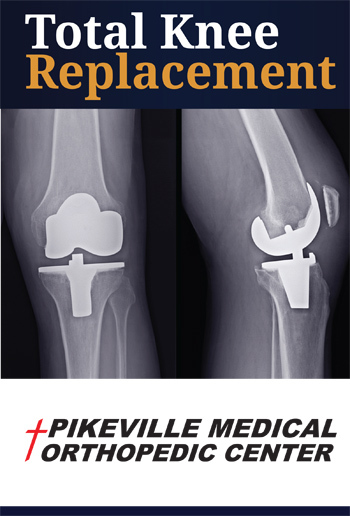 Click the image above to learn more about Total Knee Replacement at PMC. 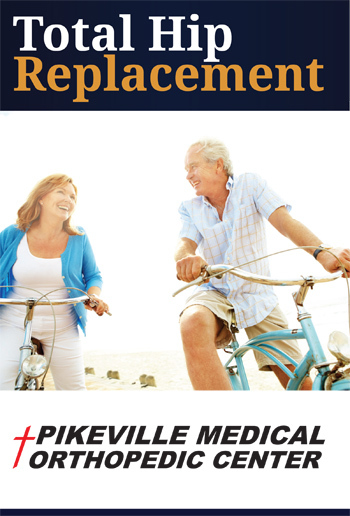 Click the image above to learn more about Total Hip Replacement at PMC. 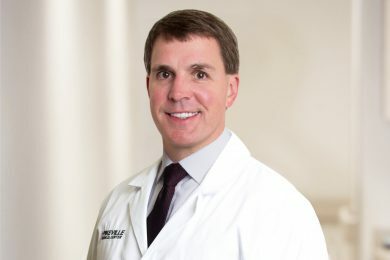 PIKEVILLE — Pikeville Medical Center (PMC) announces it has earned The Joint Commission’s Gold Seal of Approval® for certifications in total hip replacement, total knee replacement and hip fracture. PMC is the only hospital in Kentucky to have attained all three of these certifications, which demonstrates the hospital’s commitment to providing a quality orthopedic program. To obtain the certifications, PMC recently underwent a rigorous two-day onsite review that evaluated the skills and knowledge of PMC orthopedic surgeons, nurses and physical therapists in the care of hip replacement, knee replacement and hip fracture patients. 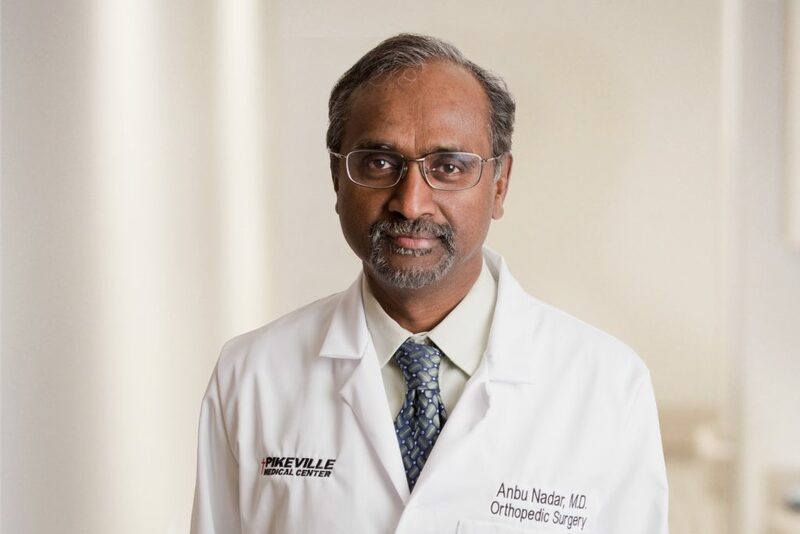 Using state-of-the-art technology, PMC offers cutting-edge orthopedic surgeries including anterior hip replacement, partial knee replacement, hip revision and knee revision. An extensive education program, known as Joint Camp, is offered to patients preparing to undergo hip or knee replacement surgery. During Joint Camp, PMC healthcare professionals discuss what patients can expect before, during and after surgery. The goal of Joint Camp is to better prepare patients for surgery and allow for better surgical outcomes. An orthopedic coordinator provides support to patients through the entire surgical process and even makes phone calls to check on patients after they have been discharged from the hospital. As a result of being certified by The Joint Commission, orthopedic patients not only benefit from extensive education and support but they also receive standardized care. PMC’s Orthopedic Leadership Team – a multidisciplinary group of physicians, healthcare professionals and other key staff – meets regularly to discuss best practices for patients. The hospital is continuously evaluating and making improvements to its orthopedic program, further elevating patient care. ALL SMILES: Walter Wilson, pictured with Dr. Pugh, praised PMC for the excellent care he received during a recent knee replacement surgery. The 70-year-old South Williamson resident is now fully recovered and back to his active lifestyle. PIKEVILLE — At 70 years old, Walter Wilson is an active grandfather of five, who is enjoying life with less pain than ever before thanks to knee replacement surgery performed at Pikeville Medical Center (PMC). 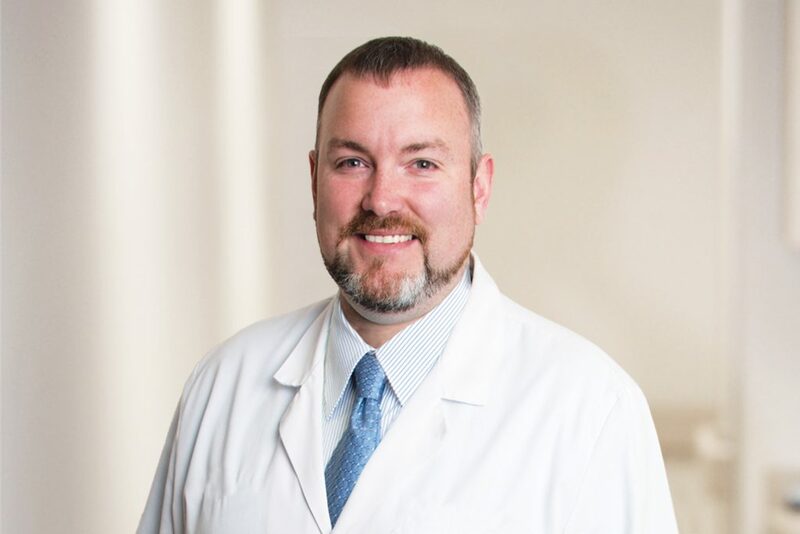 Dr. Kevin Pugh, PMC Orthopedic Surgeon, performed a partial knee replacement on Wilson in March. Partial knee replacements are less invasive than total knee replacements and involve replacing only the damaged section of the knee. On average, Dr. Pugh performs between 350-400 total and partial knee replacements per year. After his father died at only 54 years old, Wilson knew he needed to exercise and lose weight to lead a healthier lifestyle. He began walking and running and eventually started running marathons. On an average week, Wilson would run 35 miles. On training weeks, he would run up to 50 miles. Slowly, after undergoing surgery for a meniscus repair, he started experiencing knee pain. “Runners are always hurting, always battling some type of pain, but the pain got so bad that I eventually didn’t even enjoy walking anymore,” said Wilson. He continued to stay as active as possible by mowing the grass, weed eating and doing home repairs. It wasn’t until after an accident at home that his pain became unbearable. The X-rays revealed bone-on-bone in both knees. 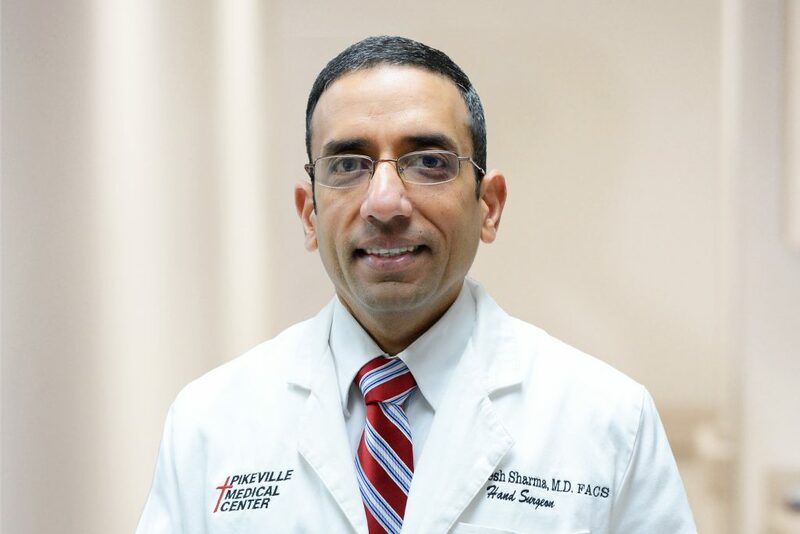 He needed a referral to see an orthopedist and when given the choice, he chose Dr. Pugh. Wilson, now retired, has extensive experience working in the medical field as a therapist, administrator and rehabilitation counselor. 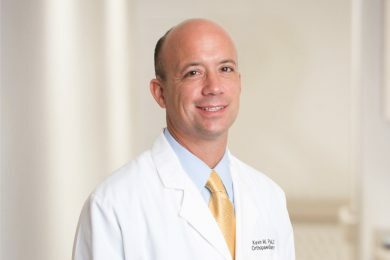 He spent years working with and developing systems of care for spinal cord injury rehabilitation, which led to tremendous interaction with all levels of medical and orthopedic care. Now, only three months post-surgery, Wilson has made a full recovery and no longer suffers from debilitating knee pain. He credits his successful recovery to weekly home visits from PMC’s physical and occupational therapists. Wilson plans on returning to PMC in November to have surgery on his shoulder and again in February to repair his other knee. For more information about orthopedic services offered at PMC, call 606-218-3500. 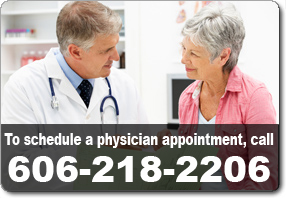 To schedule a physician appointment, call 606-218-2206. PMC’s Orthopedic Center is accredited by the Joint Commission in Hip Replacement. 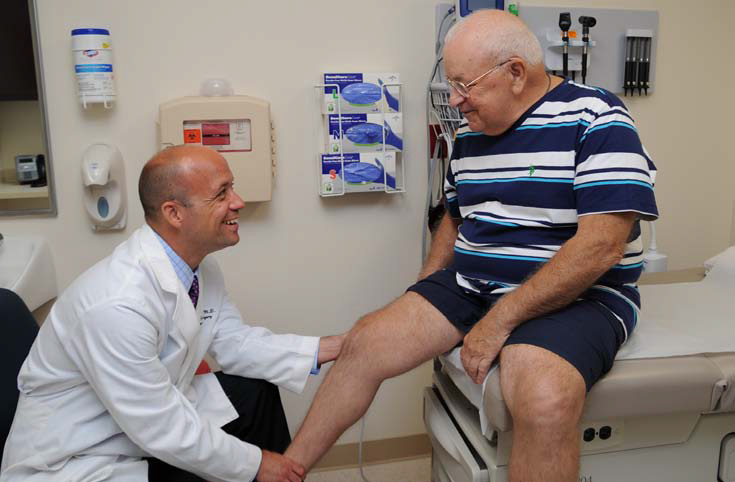 PMC’s Orthopedic Center is accredited by the Joint Commission in Total Knee Replacement. PMC’s Orthopedic Center is accredited by the Joint Commission in Hip Fracture.